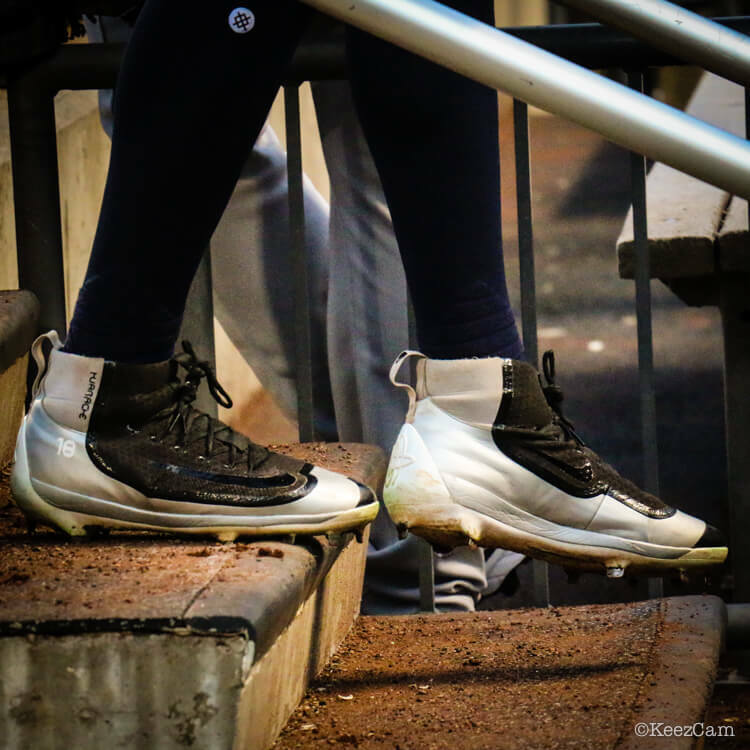 The 2K Filth has the widest array of styles available of any cleat on the market today (at the link), but Didi, because of the Yankees strict uni policy, is forced to keep it tame most of the time. 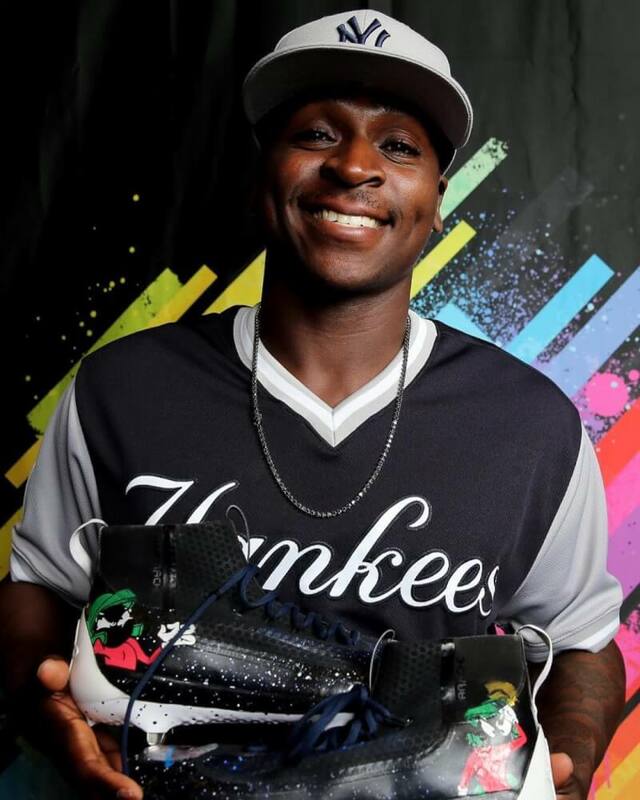 Players Weekend was the first time in Yankee history that guys were allowed to wear eccentric cleats, and Didi crushed that opportunity just as he has opposing pitching since joining the Yanks. 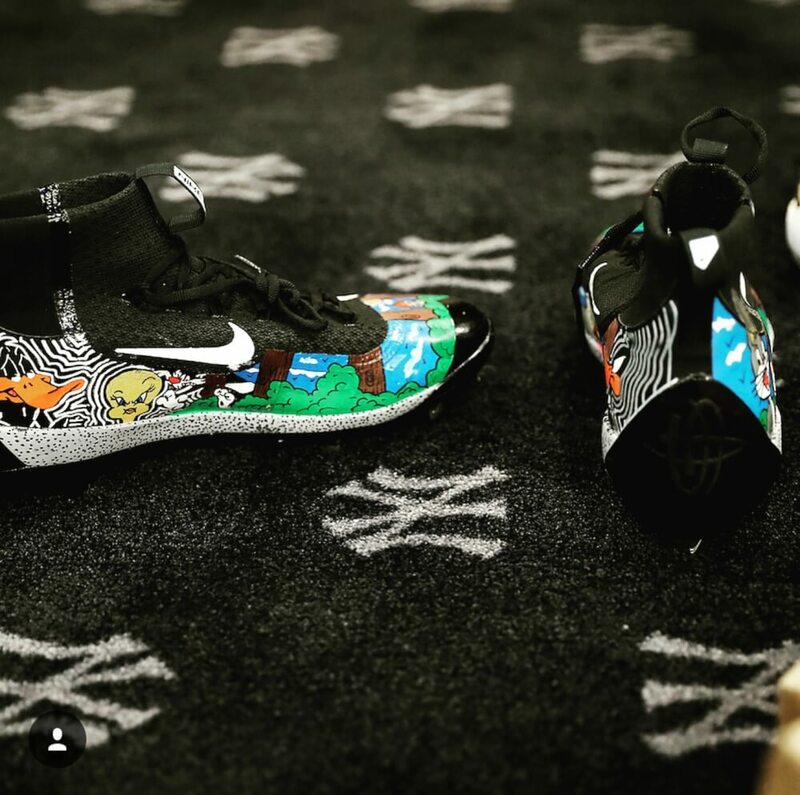 Looney Tunes, Marvin the Martian, Sylvester, Tweety, the whole gang on these shoes. Unreal. 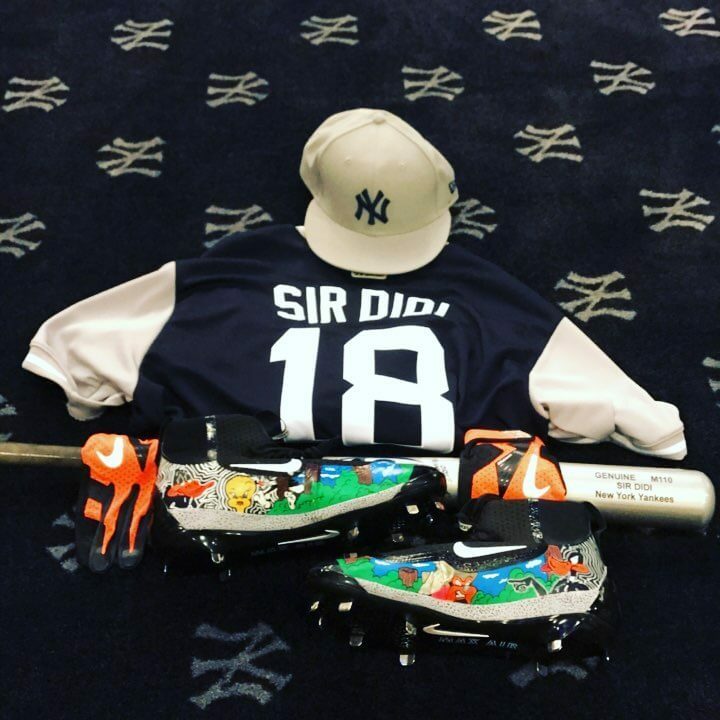 Didi has done his own customization in the past with a simple marker, but the Looney cleats look like pro jobs. Which is your favorite? 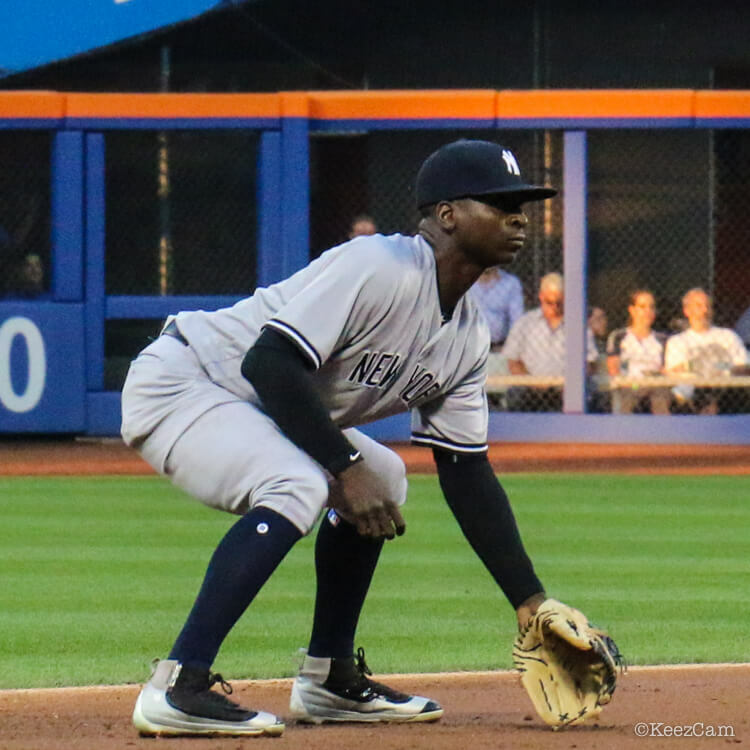 Categories: Didi Gregorius, Gear, Cleats, New York Yankees, Shortstop.